Awwww, loved the montage of the graduate and his family. I feel like a real cornball, but Pomp and Circumstance never fails to give me goose bumps. Love the pix of slices, to see the layers of ganache and glaze and the texture of the cake. I love the pics of slices, too. My brother Miguel (the graduate’s father) is a pro photographer and captured the moment so vividly. Great video and music! I love the pic of the slice too (in the video and on the posting). 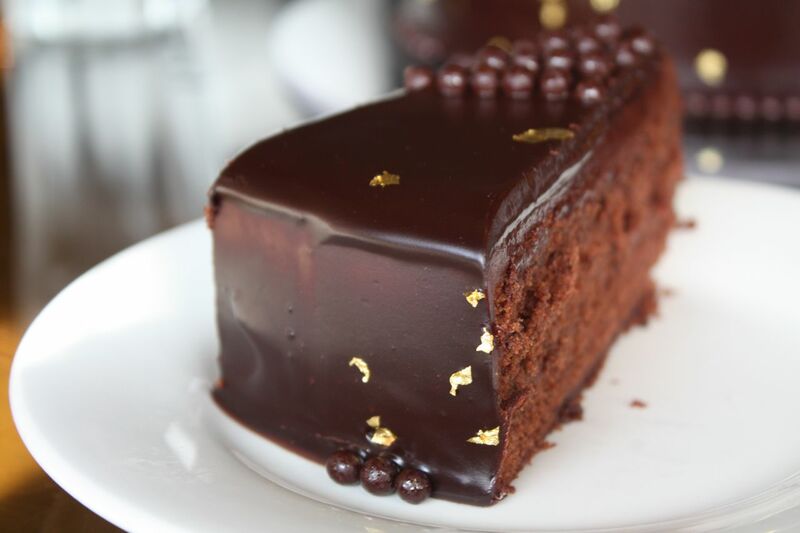 I just noticed that you placed the les perles around the bottom sides of the cake right below the falling gold dust. Very nice! J, thanks for noticing the fine details. 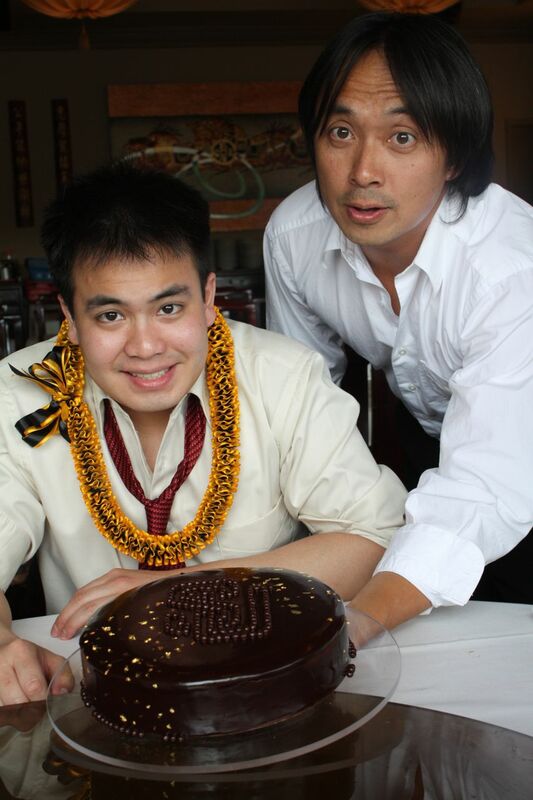 Hector, your chocolate lacquer is perfect! How do you make it so smooth? I have to confess that when I made this same cake for my chocolate-loving daughter’s middle school graduation, I served it with vanilla ice cream. I couldn’t help myself — something about chocolate cake, no matter how lucious on its own, screams “give me ice cream!” to me. thx N. the instructions are on the book. you need to smooth the ganache undercoat PERFECTLY smooth. then chill it very well. then pour the lacquer glaze in one shot, and be sure the lacquer glaze is at the recommended temperature. and i am sorry, NO to adding ice cream to ANY cake. it kills my taste buds plus it brings your blood sugar rush to the ceiling.